arrested and charged with terrorism in April 25, 2014. A seventh member of the blogging project, Soliyana Shimelis, was charged in absentia. While charges were completely dropped for four of the bloggers, Befeqadu Hailu was found guilty of inciting violence. The court has adjourned until 21 October when it will deliberate on bail for Hailu. 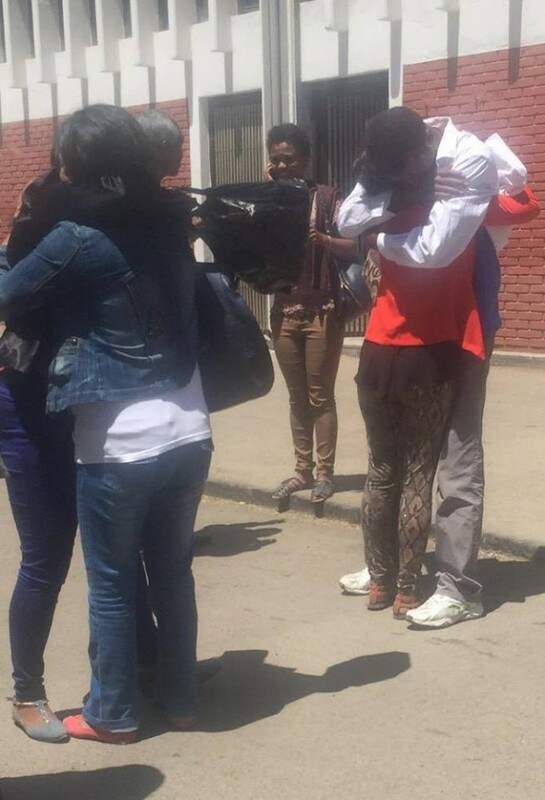 Mahlet Fantahun and Zelalem Kiberet were released in July 2015 ahead of President Obama’s visit to the country. While in detention, the bloggers were subjected to torture in an attempt to force them to sign confessions and kept in appalling prison conditions. Following the arrest of the bloggers, at least 37 journalists fled country fearing similar imprisonment. This trial has instilled fear among the media and human rights community ahead of Ethiopia’s 2015 elections, and inflicted serious harm to the lives of the young socially conscious bloggers. It has severely damaged the credibility of the government. The Zone 9 bloggers were charged under the criminal code and the Anti-Terrorism Proclamation (2009), which has been used repeatedly to target journalists and human rights defenders. As detailed in our recently released report “Caught Up in Bitter Contests”, 24 bloggers and journalists have been charged with terrorism since the Proclamation was enacted. Journalists in Ethiopia routinely face harassment, threats, surveillance, arbitrary arrest and detention, and even torture and physical attacks as the Ethiopian government seeks to quell independent voices. In 2005, over 131 political detainees including journalists and HRDs were charged with crimes against the State. We urge the Ethiopian government to create an enabling environment for journalists and human rights defenders to operate securely and either repeal or amend the Anti-Terrorism Proclamation.